The Keys on fire ! Sorry its been a while since the last blog but as my regulars know this time of year I hit the alarm at 3 am and in all fairness way past shattered to do much else but I now have a few days off so start with a blog then just the boat, tackle and house to do and get some sleep. Most fantastic news is that we now have a newly qualified US captain helping run our fishing holidays running the boat takes a lot of pressure of me so I can concentrate on the fishing which at this time of year is full on to say the least. Last week we had back regular Kevin who just to confuse this old guy brought a Kevin along with a Danny and ” I will not be doing much fishing ” Terry. 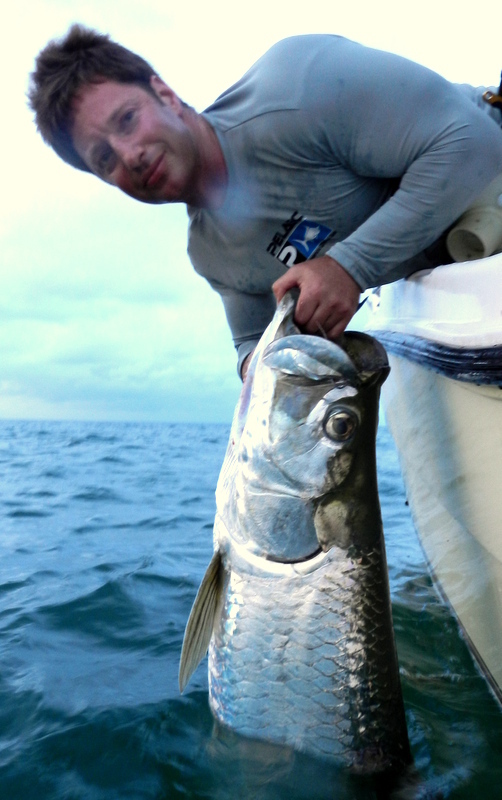 What a week tarpon to the boat every morning and smashing permit on the deep wrecks not to mention the shark, cuda, dorado, jacks and a whole lot more as normal. 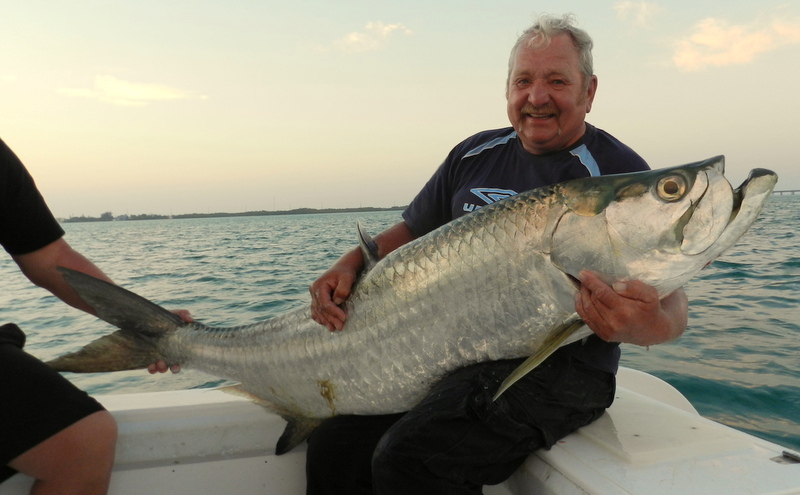 Just the best tarpon fishing for many a year all big fish all well behaved and not a shark in sight and all at 7 mile bridge and all on crab just as though you had ordered the week on ebay. What I did find pleasing about last week is just how in 7 short days our non angler Terry turned into season pro and I have a feeling will be back out after catching a bad dose of tarponits. We even had the perfect tide all week and just lost one morning to weather but boy has it gone from winter to summer temps in a very short time back in the other day and it was 94 at the back door in the shade but at 5 am the balmy heat and listening to hundreds of tarpon rolling it does not get any better. Best day last week we went 4 for 4 and I cant even remember far back doing that may be bring a non angler ( what a joke now a pro ) helps still a stunning week. Comments Off on The Keys on fire ! 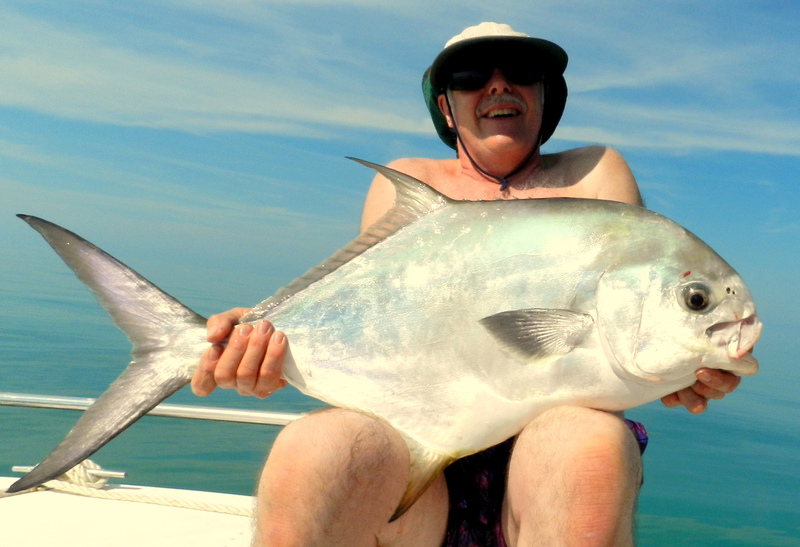 I have often said that a Fishing Holiday in the Florida Keys is way more than tarpon but at this time of year they are and will always be the number one with permit a very close second and with 124 species to the boat in over 10 years I think I have a case. 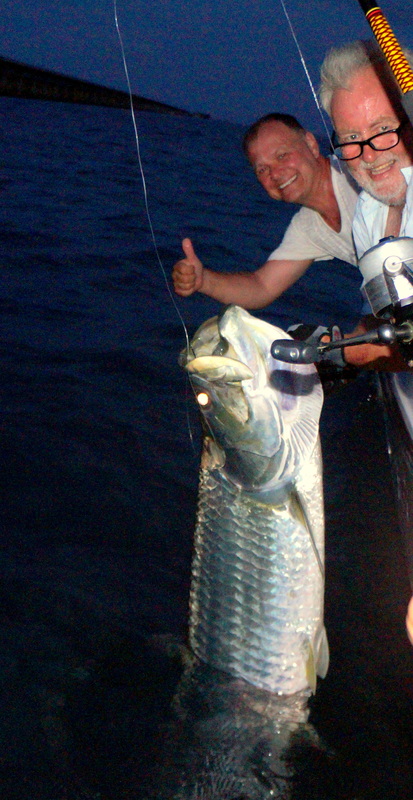 Tarpon are the silver kings and ever time your float goes down or you feel a take on a freelined bait its odds on it over a 100 lbs and is going to launch its self out of the water and it will do its best to get off and often it is still only about one in four that you get back to the boat. With all that going on and often a battle with a 1000 lb + shark it is still maybe the top sport in the world of fishing and if it is not on your bucket list it should be this year we all have to conform with new regs from the boffins. 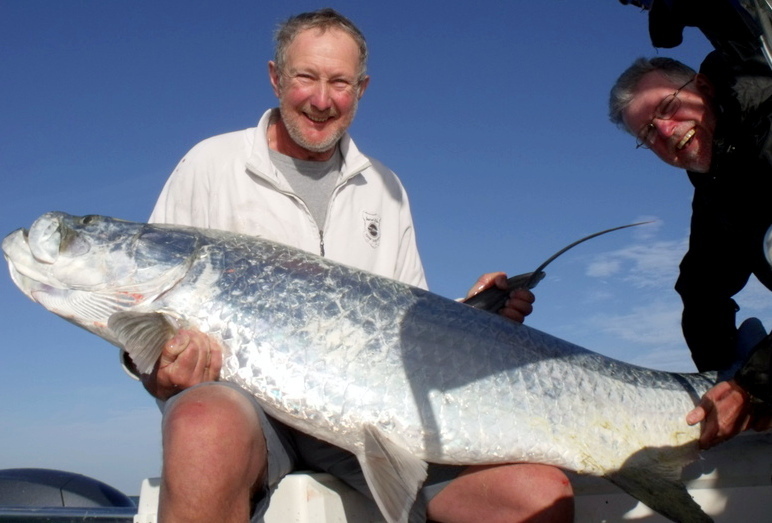 These very clearly state that all fish over 40 in long have to remain in the water this means that special photo of a 100 lb bar of silver on your lap is now a no no so head out and fish body in the water all we can now do. To me however it is not just the photo we have lost but a very quick way to give an accurate weight. 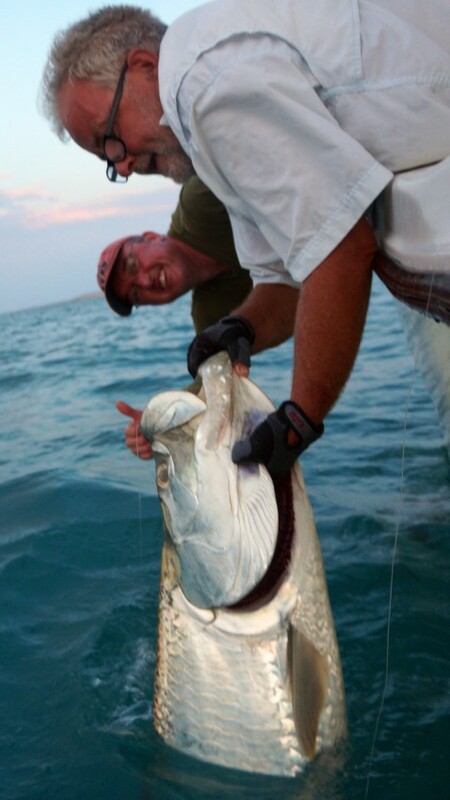 Using the bonefish and tarpon trust website and putting in the length and girth you had the weight of your fish to the nearest lb and I can still remember the day we put in the numbers 80 in long and girth 44 in yes our first ever 200 lb fish and at 209 lb I think it will be our biggest tarpon ever. So we are coming up with ways to take measurements with the fish in the water I still think its the way to go rather than ” it looks a good 150 ” much better to say it went 163 on the tables. 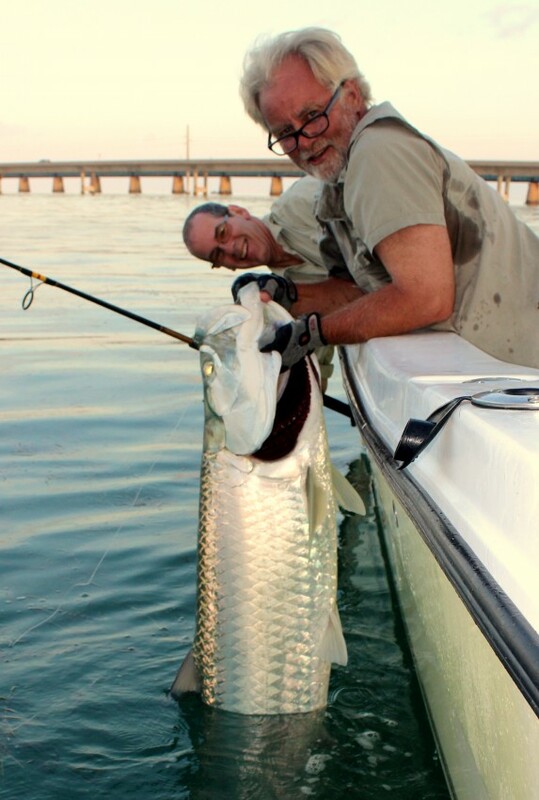 The good old silver kings are back in the Florida Keys and we have had the perfect start. 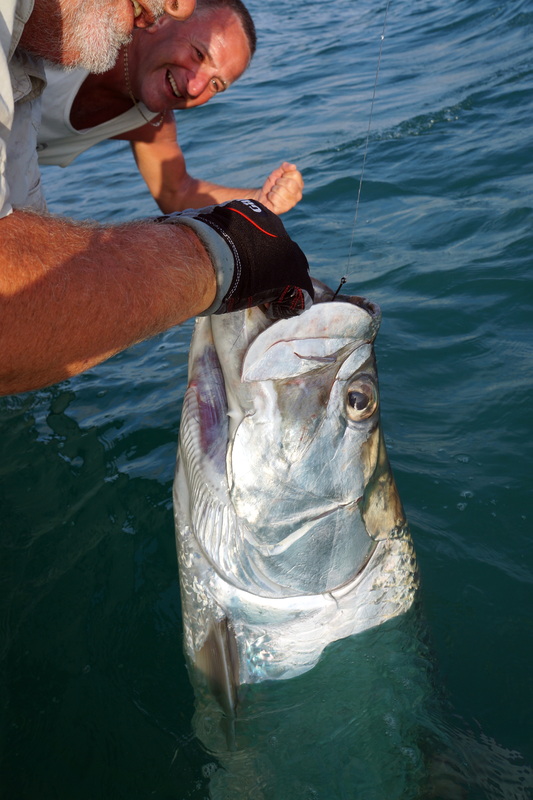 Our normal tarpon season for the big 100 lb + fish to be sure of a catch in my opinion is April, May and June you can catch tarpon all year but the main migration is during these months. 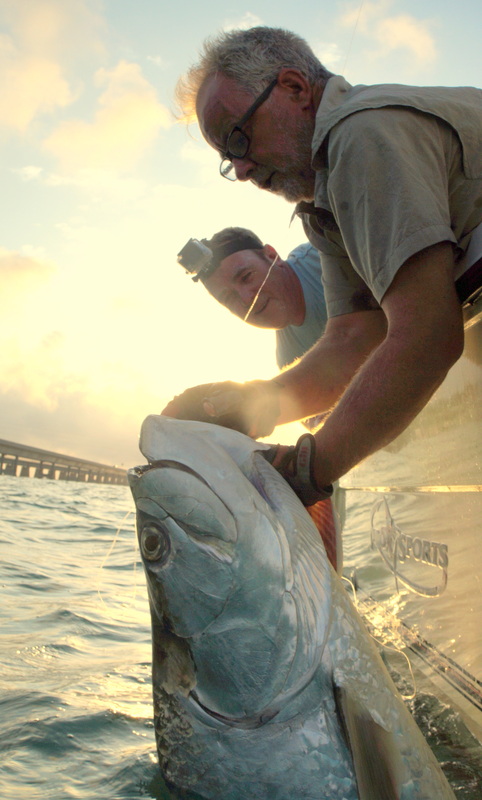 So with just two anglers we sett out to the old seven mile bridge in the dark to catch the sunrise bite my personal best time of the day. Just two other boats and in all fairness not a sign of fish so our minds were drifting when Steve had a savage take but no hook up. As it got light we began to see small schools of fish and the next boat had a hook up on top alert Steve made no mistakes on the next bite and it was fish on. This was a well behaved fish and with just a few jumps straight through both bridges in to the open sea and with not a sign of sharks we soon had this fish to the boat and as they say here one for one which I would take any day of the year. Last week with all the calm weather a trip to my permit wreck in the bay was on the cards and in all fairness we were surprised not to see a boat on the mark. Light not good for sight fishing as we have done in the past but lots of annoying fish swimming by but soon we had a fish on and I am afraid off. They dont dive to the wreck but with their long powerful runs close by it often happens the line touches and it is fish off but John stuck at it and we had one on the boat. 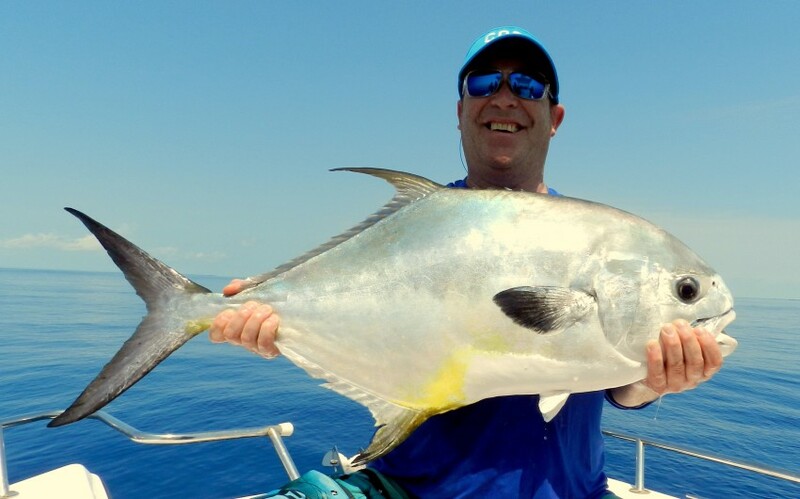 If you wonder where permit get their power just look at the size of the tail must be one of the biggest tails to body size of all fish and boy do they use it. 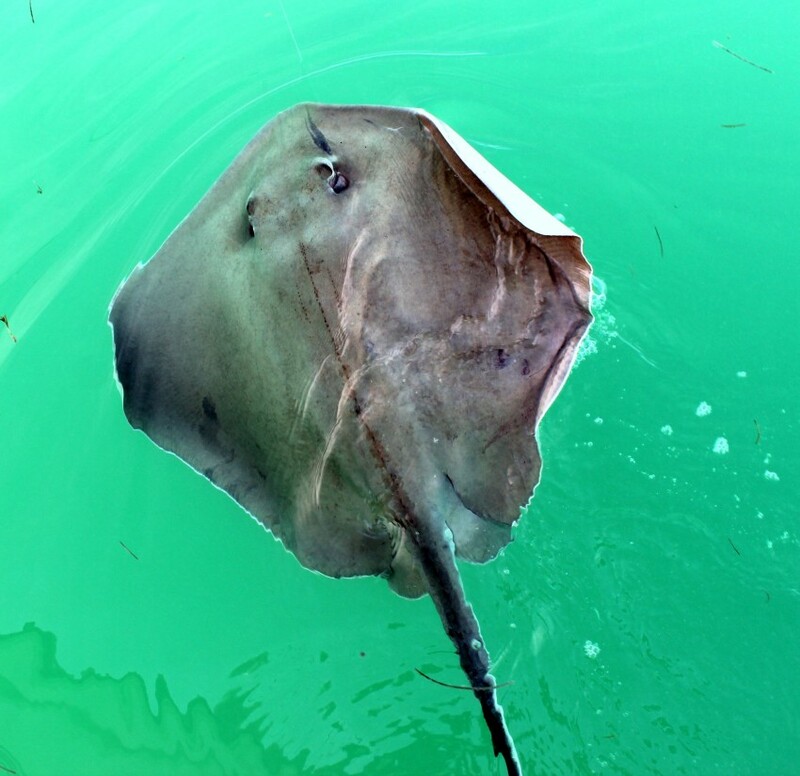 The day was also rounded off with a stunning stingray which more than once sanded up but the old guitar trick worked again and a fantastic African Pompano which have been at this wreck all year.